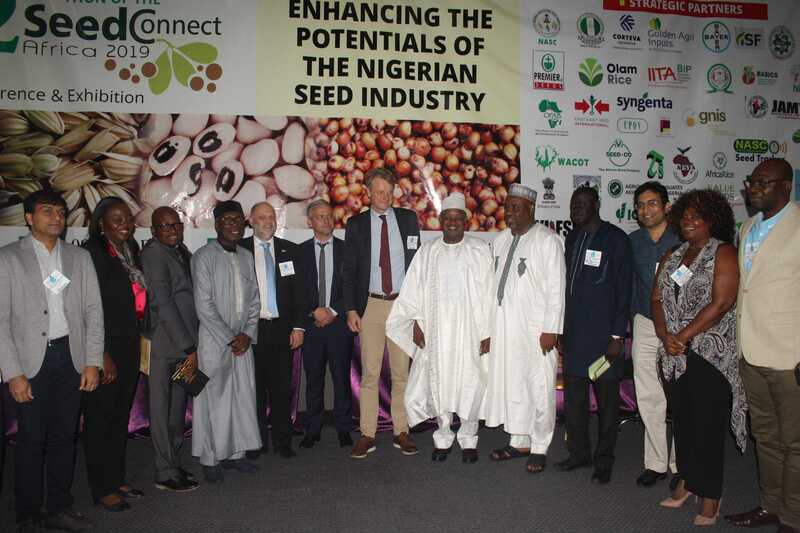 The Workshop on Early Generation Seed (EGS) with the theme: “Addressing Critical Issues of Early Generation Seed Varieties in Nigeria in Line with the Green Alternative Agenda of Government” organized by the National Agricultural Seeds Council (NASC), was held on 6th to 7th March, 2017 at Chelsea Hotel, Central Business District, Abuja. Participants were drawn from International and National Agricultural Research Centres, Universities, Seed Companies, Financial Institutions, Donor Agencies/ Development Partners, Eminent Scientists, Non-Governmental Organizations (NGOs), Food and Agriculture Organization (FAO), the World Bank, African Agricultural Technology Foundation (AATF), NABDA, NBMA, WAAPP, WASP, IFAD/VCDP, and Members of the Press. The Director General, NASC, Dr. Phillip Ojo, in his welcome address stated that it is in a bid to find solution to the multifarious challenges bedevilling the production and delivery of Early Generation Seeds (EGS) in the National Seed System that NASC has assembled eminent scientists, breeders, researchers, policy makers and key stakeholders in the workshop to brainstorm and proffer solutions that will help in tackling these challenges and make available adequate quantities of quality EGS varieties in the National Seed System sustainably. 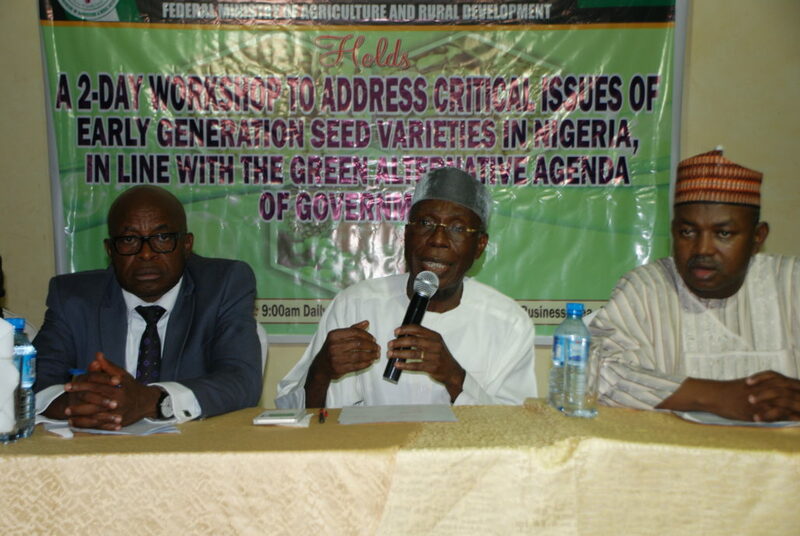 Speaking on the challenges of Early Generation ‎Seeds, the Honourable Minister of Agriculture and Rural Development, Chief Audu Ogbeh, in his keynote address said “the seed system of many food and industrial crops are collapsing due to inadequate quantities and poorly coordinated systems,” adding ‎ that cotton had suffered the same fate among other crops.